Use our powerful filters to precisely target your offers. Filters include traffic source, products in cart, device used, and many more. Set up proactive offers, as well as offers that are only triggered when a shopper is about to abandon their cart. Improve conversions, cart abandonment, and profits, by showing the right offer to the right shopper. 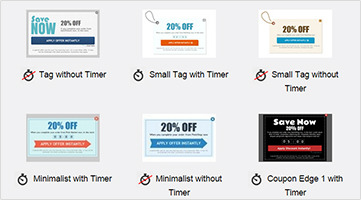 Optimize on-site promotions with the same precision that the big companies have. Offers has been proven to save up to 28% of abandoned carts. Convert returning shoppers who’ve left items in carts with targeted reminders. 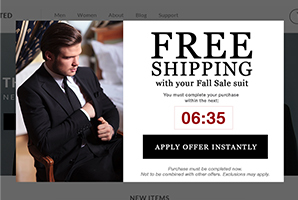 Keep shoppers returning to your store with special deals displayed above the site. 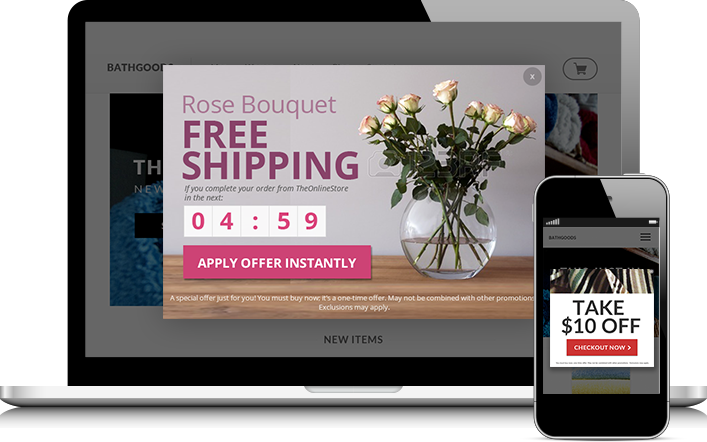 Increase your email marketing list and grow sales with this non-intrusive widget. We use a patented mouse movement tracking system to determine if a shopper is about to abandon your site. 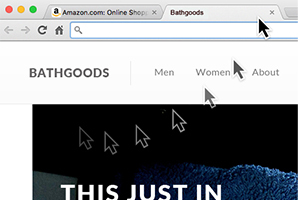 5x more people will see an offer triggered by mouse gestures than one that uses standard exit events. We officially license the mouse-gesture patent. Most other solutions do not. If you're on a supported cart, we'll install the Offers Suite for you. No custom integrations needed. Once installed, Offers works right out of the box, pre-configured to achieve optimal results. And if you do need help, we provide excellent support. 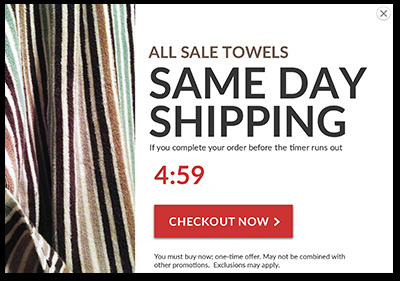 Schedule campaigns for merchandise you’re promoting via PPC. Target buyers during lunch or the weekend before a major holiday. Every campaign can look different. Select a royalty-free design from our design gallery or create your own. New designs are always being added, including holiday themes. Timer option: Add a countdown to create incentive to buy right now. Offer auto-apply: Let shoppers apply an offer with one click. No need for them to cut and paste coupon codes. Will EXCLUSIVE Offers work on any page of my site? Yes. EXCLUSIVE Offers will work on any page of your site, not just the homepage. This is vital as 70% of cart abandonment occurs on store pages. What are the supported carts? EXCLUSIVE Offers is also integrated with KingWebmasters Promo Manager. Promotions configured for these services will be applied through Promo Manager. What if my cart isn’t supported? We encourage you to register with us and let us know which platform you are using. This information will help us determine which platforms are in demand and we can contact you when we support your platform. This is, of course, free of charge. You are welcome to email us your feedback at info@exclusiveconcepts.com. What email services does Email Booster integrate with? If you are using any of those as your email service provider we will automatically send captured email addresses directly into your account. For even more growth, combine Offers with our other services. You’ll work with experts who care. 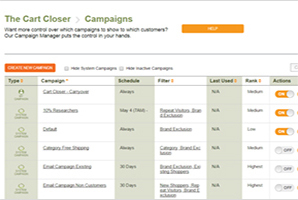 “We customize the campaign strategy for each of our clients. Why? All features included. Free installation. Free onboarding. Premium support. Pricing assumes a 3-month minimum agreement, renewing every 3 months.